A lot has been said and done about sexual harassment cases and the need to investigate it, especially with instances of sexual harassment complaints against Judges. 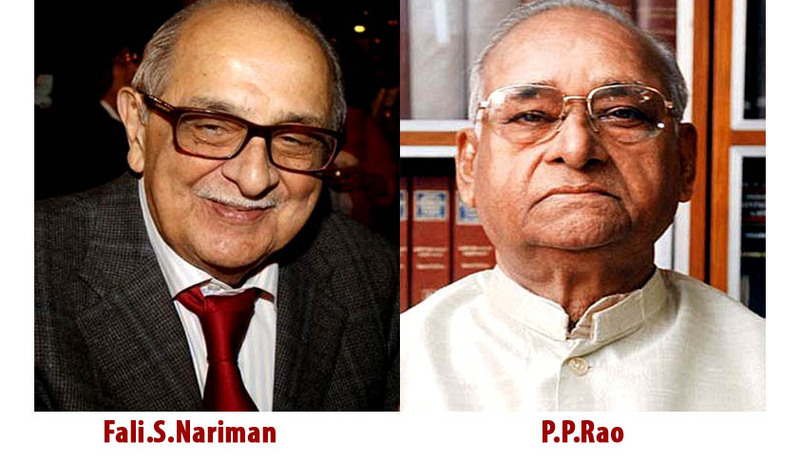 The Supreme Court appointed panel comprising senior advocates Fali Nariman and P.P. Rao, which was appointed by a Bench headed by Chief Justice P. Sathasivam, hearing a writ petition from a law intern leveling allegations of sexual harassment against Justice Swatanter Kumar, Chairperson of the National Green Tribunal, has in its report submitted to the court that an incessant course of sexual harassment of women at workplace, if established, would amount to “proved misbehavior” which would serve as a ground for removal from high office. The shield of irremovability from office would not protect them if a charge of sexual harassment at work place were proved against retired judges of the Supreme Court or the High Court managing judicial tribunals. It was further pointed out by Nariman that an in-house panel appointed by the Chief Justice of India can inquire about an alleged misbehavior of such nature by a sitting judge and if the charges are proved it would lead to removal process in Parliament. He said the recently formulated Gender Sensitization and Sexual Harassment of Women at the Supreme Court of India (Prevention, Prohibition and Redressal) Regulations, 2013, did not extend or apply to either sitting or retired judges of the apex court. It wanted the Supreme Court to devise measures similar to the Sexual Harassment of Women at Workplace (Prevention, Prohibition and Redressal) Act, 2013. Fali Nariman has stated that no matter how high the judges are they are definitely not to be treated as immune from charges of sexual harassment of women at workplace if and when such a charge is made and proved. According to him even after the judges retire from their post from the Supreme Court or High Courts and whether holding office as chairman or member of tribunals, the public holds the judges as part of the judicial system, which induced respect for its independence. As per Livelaw reports Supreme Court witnessed the setting up of Supreme Court Gender Sensitization and Internal Complaints Committee, formed by the Chief Justice, P Sathasivam. It was a ten-member panel headed by sitting Justice RanjanaPrakash Desai, with a majority of women.This committee (GSICC) was constituted vide order dated 26/11/2013, under the Gender Sensitization and Sexual Harassment of Women at the Supreme Court of India (Prevention, Prohibition and Redressal) Regulations, 2013.In the aftermath of complaints of sexual allegations being leveled against retired Justice Ashok Ganguly and Justice Swatantra Kumar, the ugliness in the Courts’ precincts did not seem to end. The committee for sexual allegations received complaints by two female lawyers against fellow lawyers. A three-member subcommittee was hearing the complaints, from within the 10-member panel set up as stipulated in clause 9(1) of the Sexual Harassment of Women at Supreme Court of India Regulations, 2013.